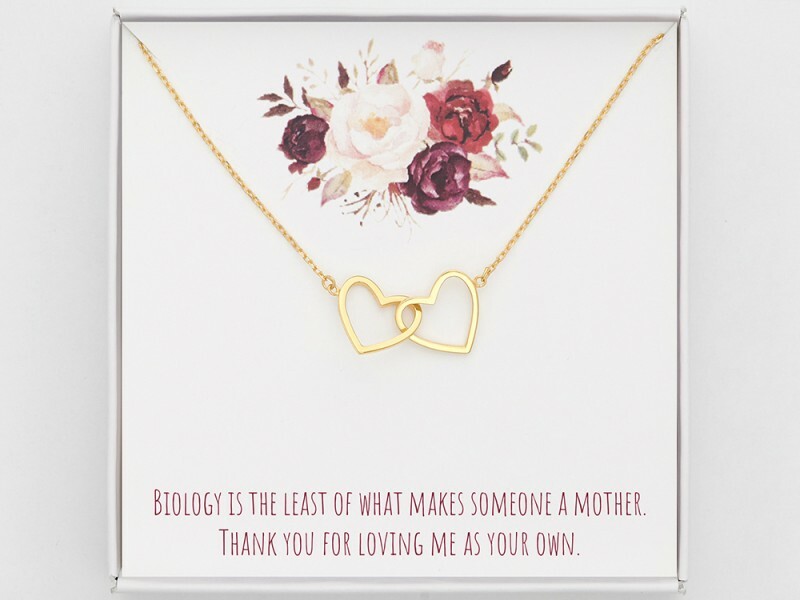 Show your other mother how much you appreciate her with this great gift symbolizing your deep bond, which comprises a meaningful necklace with a touching card. Arrive in a beautiful gift box, this gift for the "best bonus mom" is the easy yet great gift for her, the best mother and daughter gifts that will truly be cherished. Biology is the least of what makes someone a mother. Thank you for loving me as your own. Measurements Each heart measures approx. 1/2" x 1/2"